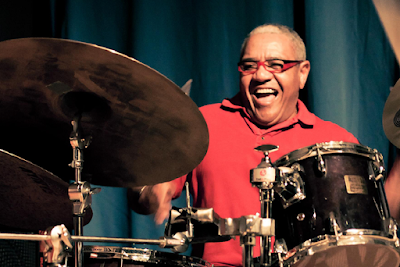 Ignacio Berroa is a Cuban jazz drummer. In a way, he's the Keith Moon of Cuban jazz drummers because so much raw energy and excitement flies off his drum kit as he's playing. He's far more disciplined than Moon, however, so don't expect me to apply the word "sloppy" to his playing. Ignacio Berroa is Moon-like because of the explosive quality of his playing, especially when his impossibly dense fills come out of nowhere and leave you breathless. Straight Ahead from Havana, his new album, has a very accurate and descriptive title. Berroa takes Cuban standards such as "Alma con Alma" and "Deja Que Sigla Solo" and arranges them into straightforward jazz tunes. This is an idea inspired by the great Dizzy Gillespie--Berroa worked with Dizzy many years ago--and it focuses on the idea of "cultural connections" and how different jazz genres can be viewed as equal while "respecting the differences." 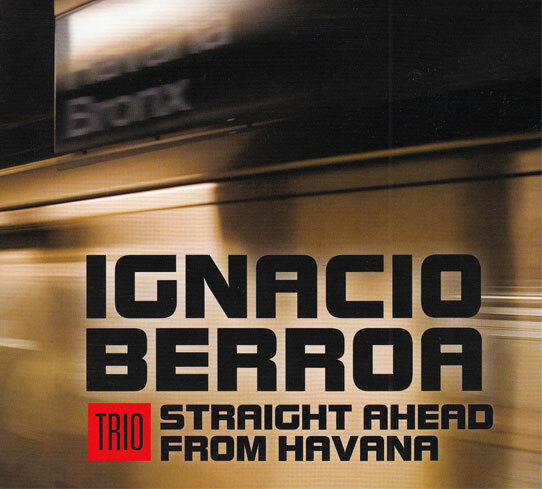 With pianist Martin Bejerano and bassists Josh Allen and Lowell Ringel, Berroa guides this trio through a collection of tunes that are equally warm and full of fireworks. What's astonishing about Straight Ahead from Havana is how little it sounds "Cuban" to the uninitiated who only know about this kind of music from Buena Vista Social Club. This is where your knowledge of jazz will come in handy, how these melodies have been transformed into something leaner. You could search out more traditional performances of "La Tarde" and "Nuestras Vidas," which will undoubtedly put a huge smile on your face once you discover the extent of Berroa's hard work and dedication. But even from the most casual perspective, the performances captured here are obviously coming from musicians who play at a rarified level, musicians who do more than play. They make history as well as keep it. Berroa, like Gillespie before him, brings intelligence and thoughtfulness to a form of music known for its spontaneity and passion. That conclusion almost completely destroys the earlier references to Keith Moon, a man not necessarily known for his aversion to excess. That paradox is what makes Berroa so unique--explosive energy and extraordinary discipline can co-exist, and on Straight Ahead from Havana you can listen to it for yourself.